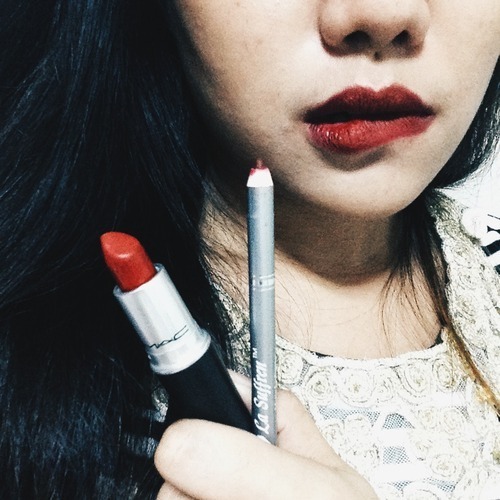 In my previous post, I blogged about how to achieve the perfect matte red lip. 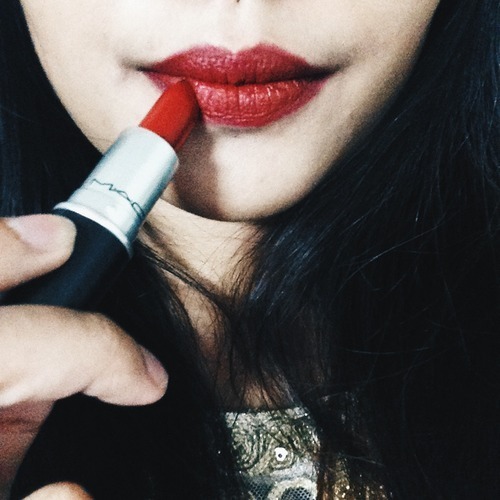 The lipstick that I used is MAC Cosmetics' matte lipstick in Russian Red. Read on for more information. 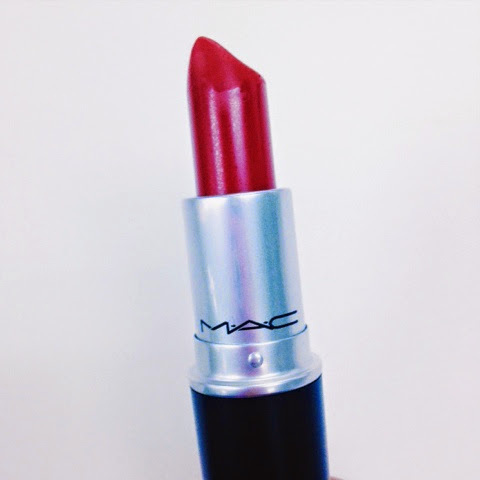 Russian Red is described as the Marilyn-Monroe-red-lipstick. It's a bluish red with cool undertones, which makes your teeth look white. This color is actually good on all types of skin color. 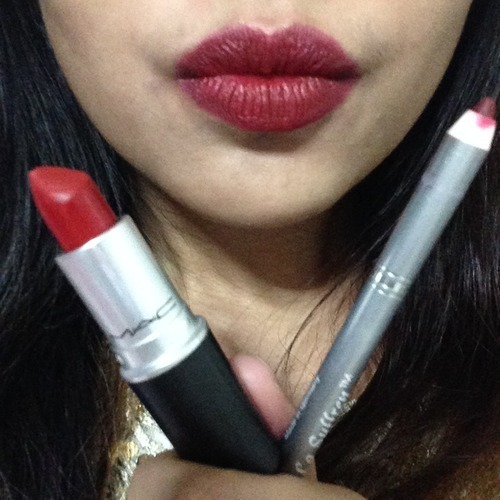 I usually am hesitant with some red lipsticks out there because I am a morena, so only lipsticks in this range of shade suit me. 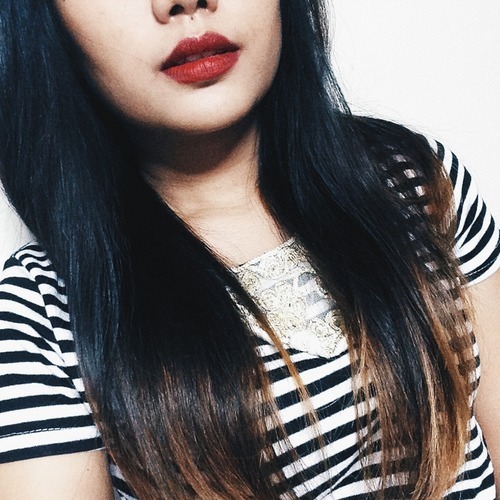 I love Ruby Woo, but it just won't match my skin color, as it suits only the mestizas. 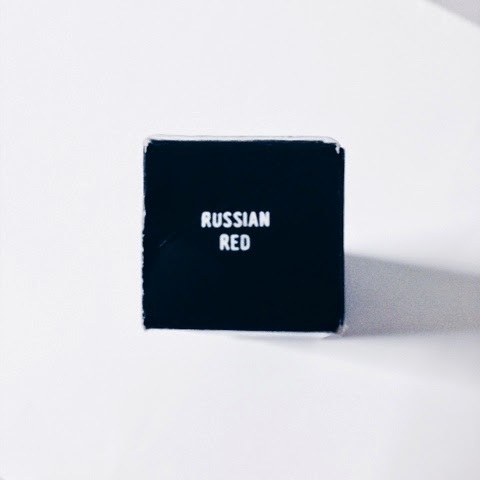 Russian Red is a matte finish, so I suggest you (1) apply a lip balm first, as a base. I use EOS lip balm in pink, and it goes so well with my MAC matte lipsticks. It keeps my lips moisturized and matte lipstick ready. 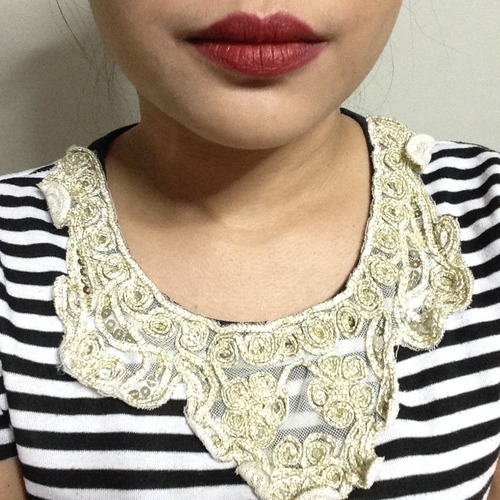 However, in order to achieve a cleaner and more sleeker looking red lips, (2) I outline my lips with a lip liner. After this, proceed to (3) applying red lipstick. I got this liner from Sassa in Hong Kong, during our trip last December 2013. 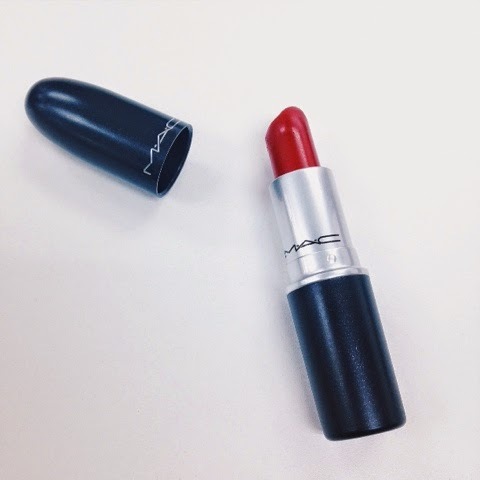 I bought this before I bought my Russian Red, and turns out they blend perfectly! 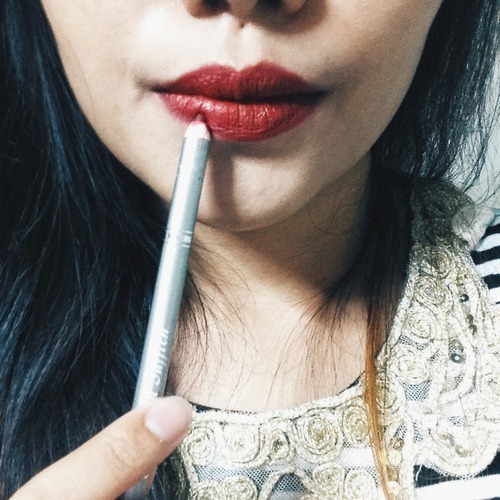 I knew it back then that when I bought this lip liner in Hong Kong, I will be able to put it to good use. Lol. Here's what my lips look like after applying lip balm, Russian Red lipstick, and the lip liner. Make sure to apply powder on the outsides of the outline of your lips to make look cleaner and the outline more precise looking. Close up photo of my lips after my 3-step trick. No filter. 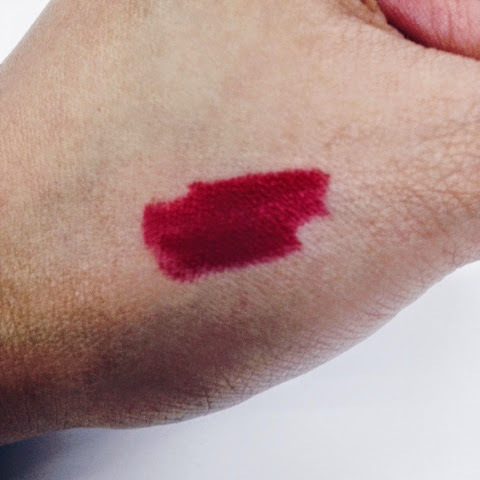 Remember: (1) apply lip balm as a base; (2) outline your lips with a lip liner that matches the color of your red lipstick; and (3) apply red lipstick. Work with me! The Multi-Hobbyist blog accepts work and collaborations with brands, companies, and individuals for sponsored posts, advertisements and alike. I also photograph and blog about music, concerts and music festivals. Send me an email at themultihobbyist@gmail.com.